Arabian Horses at Out Side In! 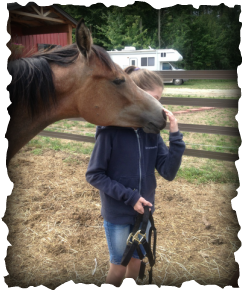 At Out Side In, some of our best therapy partners are our beloved Arabian horses. As life long Arabian horse owners, we knew that Arabians would make the perfect therapy partners. Not only are they kind and gentle, but very intelligent, eager to please and extremely intuitive. 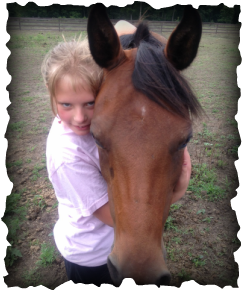 No doubt one of the favorite therapy horses at Out Side In is JD Cruise Control, better known as "CC". CC is a purebred Arabian horse and when you see her with her fuzzy winter coat painted with colorful designs, you would never guess she is a Multi- National Champion! In fact, CC just took a few weeks off from her therapy job and added two more National Championships to her resume! It's a good thing we were able to get all the paint off! CC is wonderful Ambassador for the Arabian Breed and a true example of their kind, gentle nature. At 17 years of Age, CC has won Six National Championships and Five Reserve National Championships, but what makes this so special is that when most show horses are in training and preparation all year for this level of competition, CC spends most of her year out in the pasture and doing her favorite job, helping children heal from trauma. When show time comes, however, she get's clipped up and bathed and is happy to go to a show and perform her job as a Western Pleasure horse perfectly time after time! 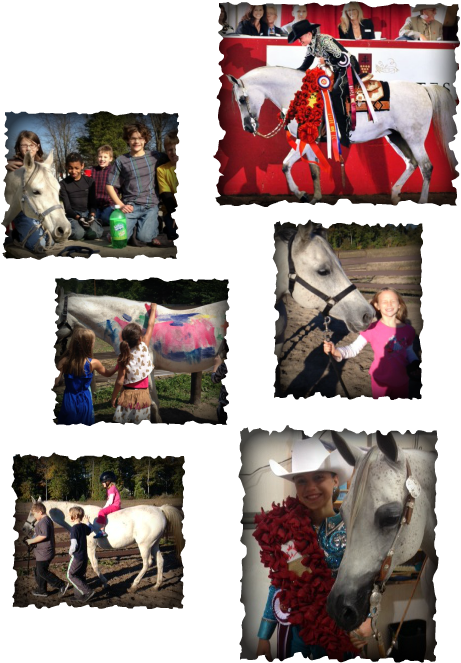 CC is our once in a life time show horse, but it is even more special to us to be able to share this amazing Arabian horse with the children at OSI and see her changing lives every day! Even more importantly, CC LOVES being a therapy horse and it makes our hearts happy to see a horse that has given so much, getting so much love from so many people and loving her life! If she could talk she would for sure tell you that her favorite therapy activity is getting Painted! She thinks it's her day at the SPA. Solara was donated to the program by Dr. Tim and Rebecca Fleck. She worked as a therapy horse for us for two years before she was adopted by a wonderful home. JD Bella Vita is very special as she is CC's first (and only) baby! 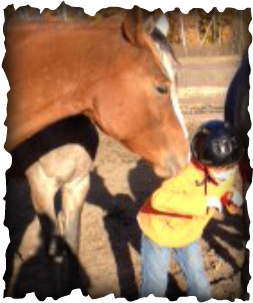 She is growing up as a therapy horse and the kids love to help train her and teach her to be a big girl! Levon was donated to our program by Armstrong Arabians as a yearling. We have loved watching him grow up on the farm and the kids love his playful personality!